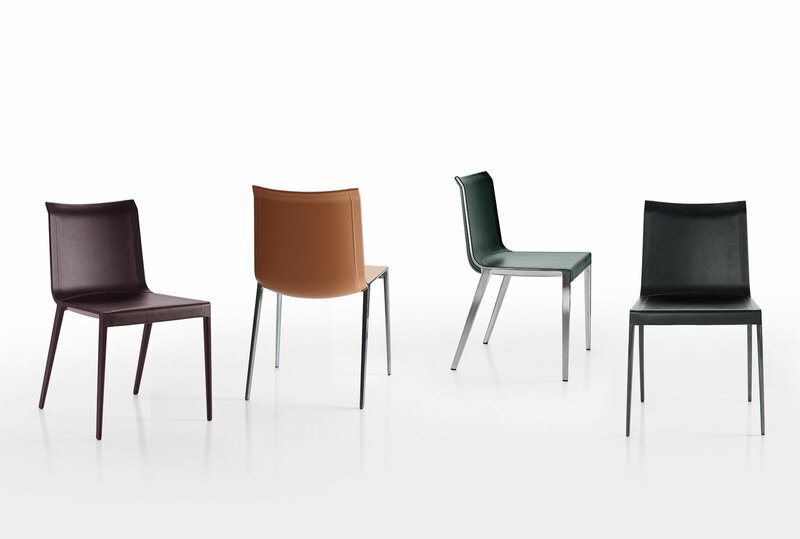 The Charlotte Dining Chair from B&B Italia, designed by Antonio Citterio. 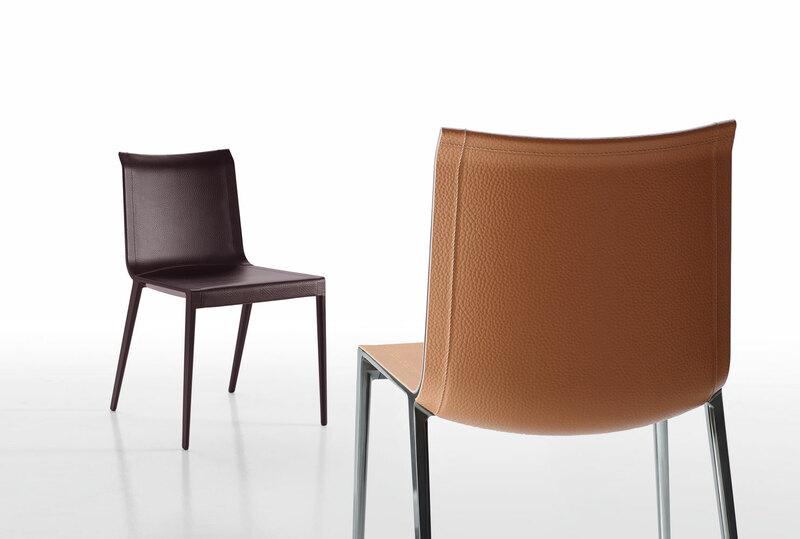 A tribute to lightness, the shell is completely covered, but the frame profile is visible on the chair side, thus highlighting the line of the seat. The cover is in raw cut full grain leather and is available in six different colours: Natural, Black, Dark Brown, Mud Green, Bottle Green and Bordeaux. There are also a series of different finishes for the frame to compliment it when it is pewter painted: Bronzed Nickel Painted, Black Chrome Painted or Black Painted Aluminium. You can also have the frame painted Bottle Green or Bordeaux so it blends with the cover.